Four Seasons Hotels and Japanese real estate development company Mitsui Fudosan have announced plans for a new 190-bedroom luxury hotel in Tokyo. Set to open in spring 2020, the hotel in the city’s Otemachi business district will occupy the top six floors of a 39-storey office block. As well as meeting and event spaces, the hotel will incorporate indoor and outdoor restaurants and bars, a 39th floor rooftop terrace, spa, fitness centre and indoor pool. The brand, which already operates the Four Seasons Hotel Tokyo at Marunouchi, is further extending its presence in Japan this autumn with the Four Seasons Hotel Kyoto. 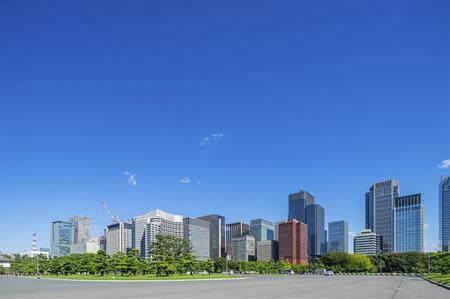 J Allen Smith, president and CEO of Four Seasons Hotels and Resorts, said the company had been seeking the right opportunity for a new hotel in Tokyo that will appeal to business and leisure travellers and the domestic market. "Japanese outbound travellers represent a significant number of Four Seasons guests around the world and we look forward to offering our Japanese guests a new opportunity to experience Four Seasons at home," he said.